SEBRING, Fla. (March 18, 2011) – RJ Lopez, of Santo Domingo, Dominican Republic, made it look easy in the 2011 SCCA Pro Racing Trans-Am Series season opener at Sebring International Raceway with a flag-to-flag victory. Driving the No. 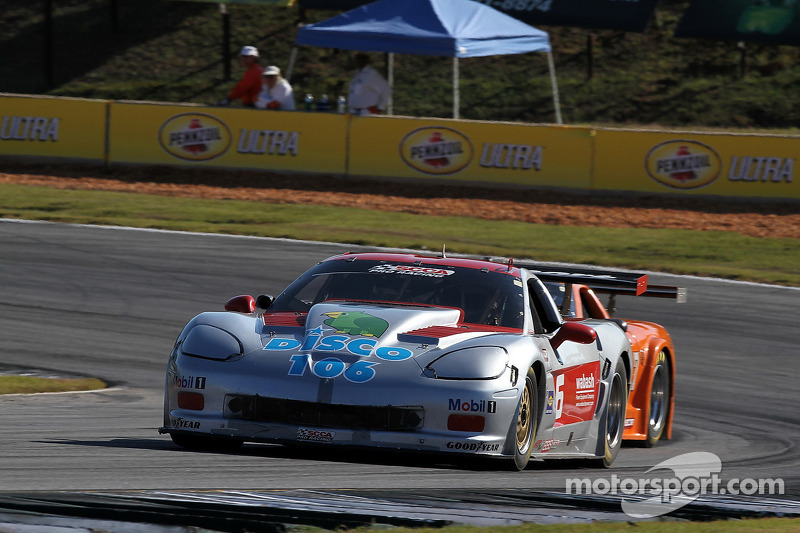 6 Disco 106/ECR Engines/Goodyear Chevrolet Corvette, Lopez swept the event by taking pole, setting the race’s fastest lap and leading every lap en route to his third career Trans-Am victory. He beat Cliff Ebben, from Appleton, Wis., by 13.484 seconds in the 28-lap (103.6-mile) race. 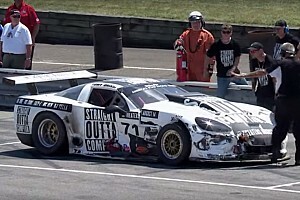 The race was slowed once by a full-course caution to move the No. 77 Rotary X-treme/MAZDASPEED/Goodyear Mazda RX-7 driven by Glen Jung, of Osteen, Fla., to a safe location after he punctured a tire. 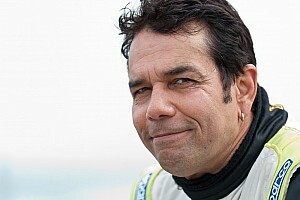 It was Lopez’s first Trans-Am victory since winning the second-to-last round of the 2010 season at Virginia International Raceway and moved him to the top of the points chart with one of nine races in the books. Lopez leads Ebben by 25 points, 135-114. “It was pretty cool,” Lopez said. “We were able to dominate. 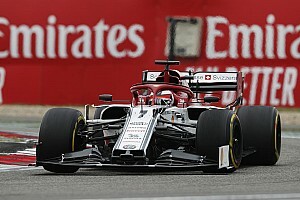 We put down a really good lap time in qualifying and in the race, it was basically two races, it was a race to the yellow and the race after it. My mission was just to conserve the car. Nobody kept up with me, so I pulled away a little bit but I really was just conserving. The car was just awesome. After the yellow, I just took off. For a few laps there I ran real hard, then I backed off it again and I settled in a comfortable pace. After starting third in the No. 36 McMahon Group/Stumpf Ford/Lamers Racing Ford Mustang, Ebben moved up to second around defending series champion Tony Ave, of Maiden, N.C., on the third lap of the race. 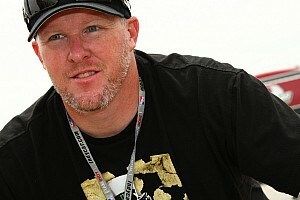 He maintained that position throughout the race to earn his best Trans-Am result since winning the 2009 season finale at Road America. Despite the fact that his No. 4 Lamers Racing/McMahon Group/Optech/PME Engines Chevrolet Corvette sounded a bit off key for most of the race, Ave managed to bring home a third-place trophy from Sebring. He started second and fell back as far as fourth for a time before coming back to the final spot on the podium. “We were down on power,” Ave explained. “The engine, of course, was great from Pro Motor, but I had something wrong with what we were doing. We thought it was electronics, and I think it might be in my carburetor, but anyway, we were down about 1,000 rpm. It’s a testament to the motor that we could run that good when there’s something screwed up. Normally, we would have just run off and hid, but you can’t give RJ that kind of advantage because their guys are pretty good. I did the best I could. Making his Trans-Am Series debut at Sebring, Charles Wicht, of Big Pine Key, Fla., wound up fourth in the No. 92 Wicht Racing/Crystal Clear Pools Chevrolet Monte Carlo. He finished one spot ahead of Blaise Csida, of Stouffville, Ontario, Canada, who came home fifth in the No. 07 Gateway Racing Inc. Chevrolet Corvette. 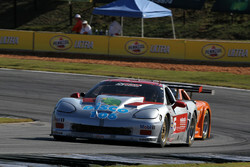 In the debut of Trans-Am 2 (TA2) class as a points-paying category in the 2011 Trans-Am Series, Gregg Rodgers, of Southlake, Texas, took the victory in the No. 40 PinnacleAutosports.com/Eagles Canyon Raceway/Petfinder.com Chevrolet Camaro. Rodgers inherited the lead from class polesitter Tony Amico, of St. Petersburg, Fla., who led most of the race in the No. 78 Caddy’s on the Beach Chevrolet Monte Carlo before a tire problem removed him from contention. Bill Prietzel, of Hubertus, Wis., came home second in TA2 in the No. 32 Quality Auto Repair Inc. Chevrolet Monte Carlo. Ricky Sanders, of Stockbridge, Ga., filled out the class podium with a third-place run in the No. 19 Pitboxes.com/Racetrailersales.com Chevrolet Monte Carlo. Next up for the SCCA Pro Racing Trans-Am Series will be Round 2 at Miller Motorsports Park on the weekend of April 30-May 1 alongside the Pirelli World Challenge Championships.